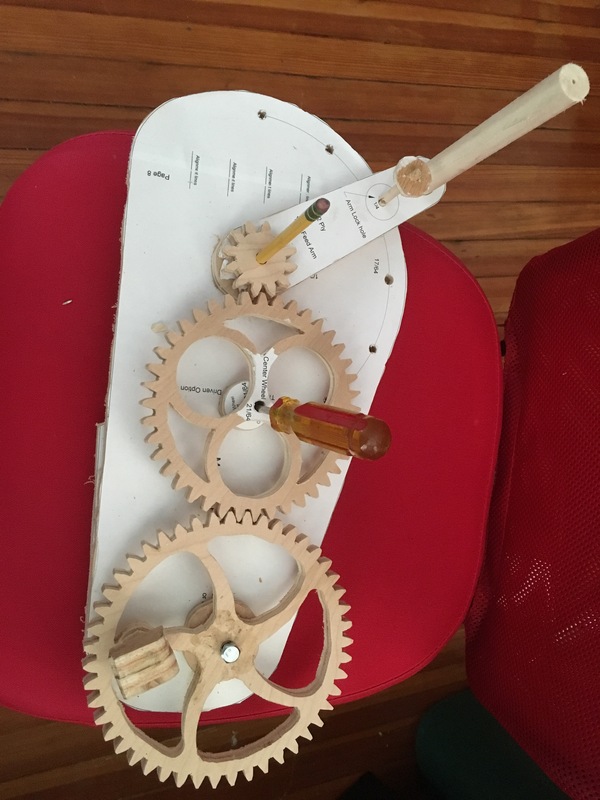 This is where I was at the end of the day today: a set of three gears that fit inside one another, more or less, a body or frame that supports the gears, and a set of holes drilled that will eventually hold the pivots for the gears, and the mechanism for the yarn-cake winder. The machine does not yet work. What’s still needed? Well. That’s sort of a complicated story. Let’s go through the machine from top right to bottom left, of the photo where it’s on the red chair seat. The hole in the long dowel needs a piece of twisted wire, rather like a spring, to be the in-feed point for the yarn. The hole for the arm lock hole may need some sanding or smoothing to make the arm lock pin work. The individual holes need sanding. The whole frame needs sanding, and the remaining adhesive for the pattern needs to be cleaned off. The two ‘feet’ of the frame need to be attached/glued to the main body. The smallest gear, called 12P on the plan, has to be attached to the spindle support. (not shown). The spindle support needs to be attached to the spindle base (also not shown, but visible as that weird, angular L-shaped bit in the second photo). The spindle needs to be attached to the spindle support. I need to purchase a skateboard bearing, OD 7/8″, ID 5/16″, to go inside the spindle’s base and cap. The pin/bolt which serves as the pivot of the smallest gear/turning mechanism for the spindle needs to be installed. In order to be installed, it has to be ground at the tip into a 45°-angled cone. I don’t have the equipment for that. Buy equipment? 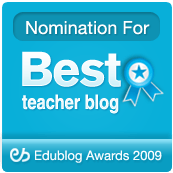 Borrow equipment? Bring rod to friend’s house to grind? Pay them to grind it for me? The locking pin in the base needs to be installed. Need to buy an allen wrench bolt to go there. The arbor for the central/middle gear needs to be installed. 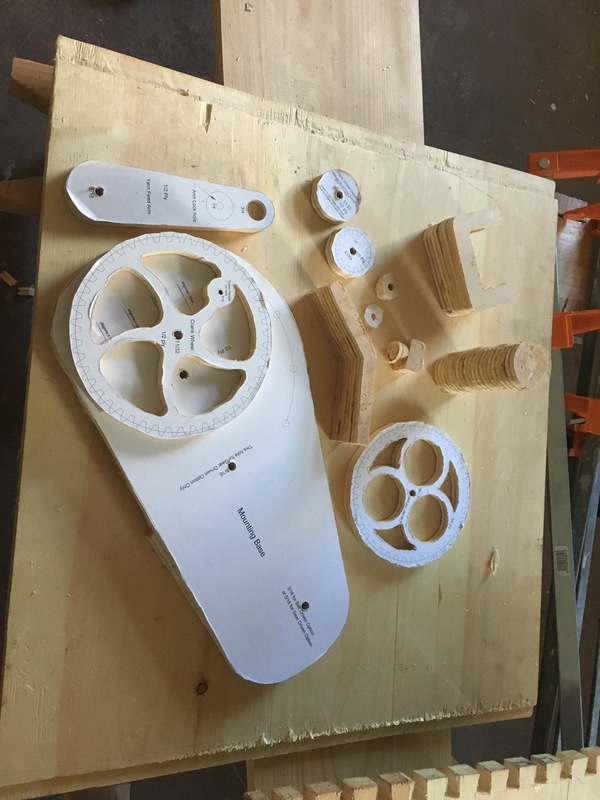 The support wheel needs to be glued to the main wheel. The largest wheel/crank wheel needs its pivot point installed. All pieces, once I know that they roughly work, need to be sanded/smoothed, and cleaned up with some mineral spirits. Some parts may be stained or painted; I haven’t decided yet. Again, I have to praise Mr. Boyer’s designs. He’s got a good thing going here. It’s a great example of Tools Make Tools Make Things. More than that, though — I find that I send him my questions, and he gets around to answering me… usually at about the time that I re-read his directions for the fourth or fifth time, and go OOOOOOHHHHHHH, That’s how you do it. 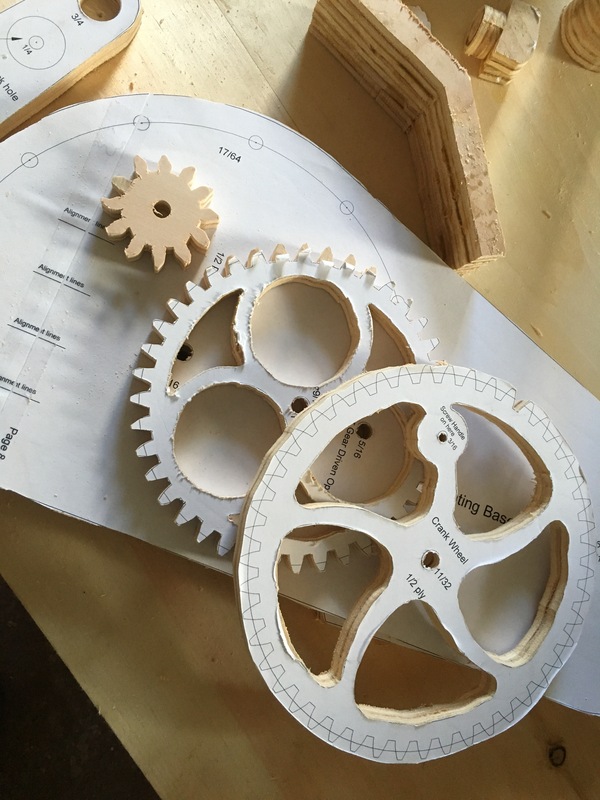 The making of this machine has honed my scroll saw and drill press techniques. I’m getting cleaner holes, sharper lines, and greater clarity about what I can and cannot do with my tools. I was right — the Yarn Swift was a good beginning project for getting up to speed on my tools. This yarn-cake spinner is the right tool for learning how to make the parts for one of Mr. Boyer’s calendar or clock projects, which I’m looking forward to tackling next. It’s also giving me a new appreciation for wood as a material, and for the problems of thinking in three dimensions. Mr. Boyer had a fair bit of time to design these two models, both of which are based on historical examples of sorts, although both models are more timeless than rooted in a specific era. They’re both made with Home Depot/Lowe’s lumber, so in that sense they belong to the now, but they could have been made any time in the last few hundred years, I suspect —maybe not looking exactly like the, but serving some of the same purposes, certainly. which is, itself, raw material for yet another project: a scarf or a shawl or a sweater. Huh. The final element of this thing is the yarn-cake spindle. In retrospect, I’m sorry I didn’t ask a friend to do a turning for me on a lathe. The stack of plywood disks is ugly. It’s hard to sand. There’s a gap in the wood near the top, and I wish I’d cut that disk again rather than filling it up with wood putty. The parts which are 1/4″ plywood sheets seem fragile. Will they hold up? I’m not at all sure the machine will work. I keep wondering if I over-cut, or cut too deeply, this gear or that tooth. Is this part the right shape? Will it work? How much tolerance does the machine design have for failure? How much tolerance do I have for the idea that I’m going to have to re-cut some of these pieces? Still, when I think about where I began today — with the teeth not yet cut on any of the three gears, with most of the pieces still not glued together, with only a rough idea of how they fit together — and where I am now, with a machine where the pieces are starting to come together in a final format, I’m reminded of a key insight I took away from Constructing Modern Knowledge: that a picture is worth a thousand words, but a part is worth a thousand pictures, and a machine is a thousand parts. When we ask students to build a machine, a working model of something, we’re asking for a research project. We’re asking for a book. A working machine is a labor of astonishing proportions. Mr. Boyer hasn’t just built the machines, he’s made the designs available to others (admittedly for a fee). And it makes me realize how critical it is, and how little-understood it is, in most middle and high schools, that we teach children to think in three- and four-dimensions about made objects like this. And I wonder how we can do that better.